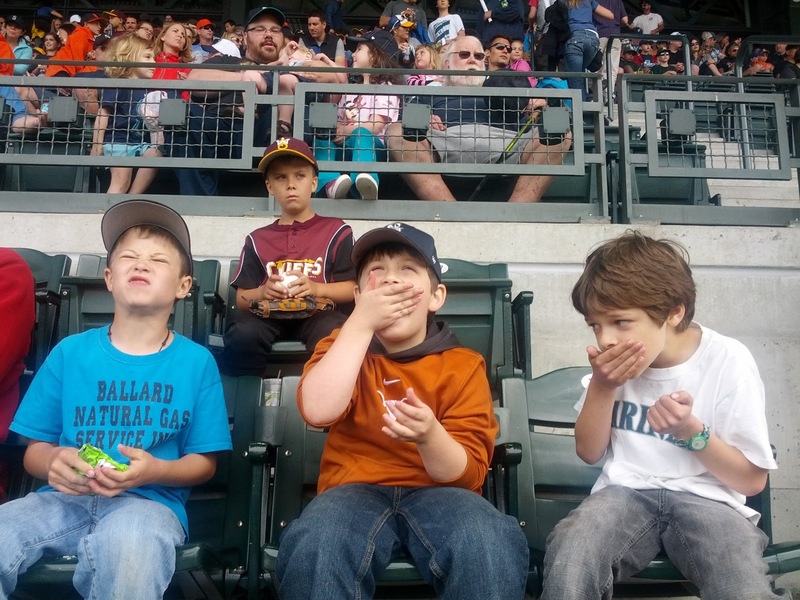 Every year we have the opportunity to get $12 tickets to a Mariners game through the school. Gareth expressed interest in going last year and had a great time, so I took him again this year. We went with a couple of his friends. The seats are usually up pretty high. 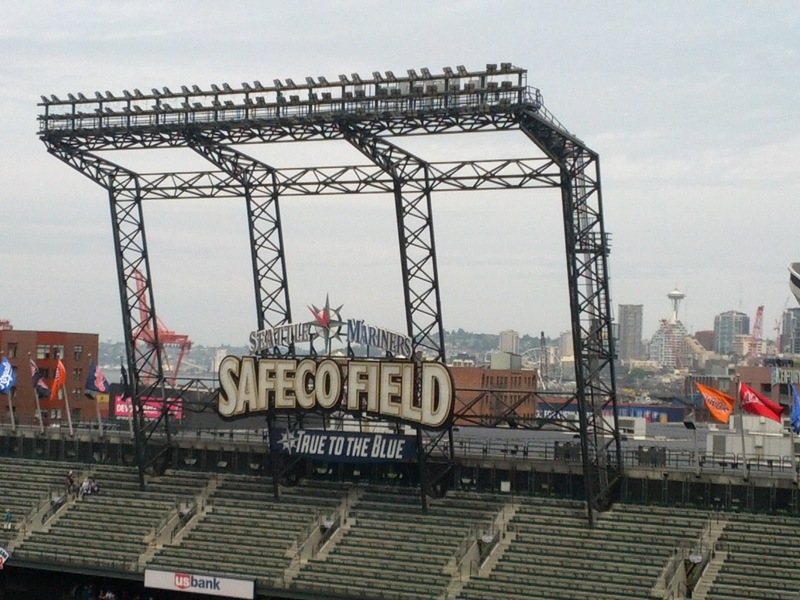 Last year we were just to the right of home plate (up at the very top of the stadium). This year we had a great view of home plate and the pitcher, and weren't up quite so high. 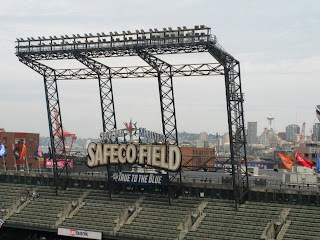 We also had a great view of the Space Needle a little bit off in the distance (to the right of the Safeco Field sign). The kids have a great time, but not because they're paying attention to the game. They seem to view it as a wonderful opportunity to eat junk food, find a trinket to buy at the gift shop, and goof off with their friends. It's a good thing the tickets are discounted because the food is insanely expensive - $5 for water, $7 for a hot dog. 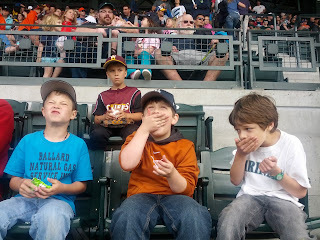 Anyway, here they are stuffing gum in their mouths. In all honesty, I don't blame them for not paying much attention to the game this year. It was a pretty slow-moving game. Pitchers were taking forever between pitches, they changed the pitcher just about every inning, and not a whole lot was happening. We left after the 9th inning - they were tied 3-3 and had to go 12 innings before the Mariners lost by allowing another 3 runs. I saw a tweet later that mentioned how people complain about soccer being slow but the Sounders started after the Mariners and left with a 2-1 win before the Mariners were done. $7 for a hot dog? Ridiculous!